The router password is an administrator password used when accessing the router’s web-based setup page. The default router password for all Linksys Smart Wi-Fi Routers is admin. However, it is recommended to personalize your password to ensure that the router is safe from unauthorized access. The router password is NOT the Wi-Fi password. 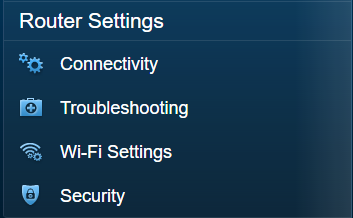 For instructions on changing the basic Wi-Fi settings using the Linksys cloud account, click here. Images of the web-based setup page may differ depending on your router's model number. If you forgot your router password, you can perform a hardware reset to restore your router to factory default settings. However, this also means that your router will need to go through the reconfiguration process. For instructions on how to reset your router, click here. For instructions on how to set up your router, click here. Under the Basic tab, click Edit beside Router Password. Enter your router’s Current password. Then, enter the New password you want for your router and re-enter it in the Confirm new password field. On some Linksys Smart Wi-Fi Routers, you only need to enter the New password. Click on the icon to view your password. 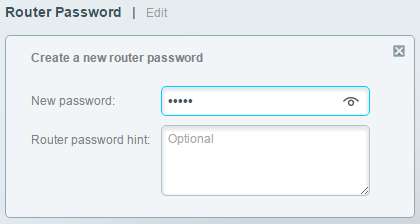 You can also enter an optional Router password hint. QUICK TIP: You can use character combinations (including special characters) in creating your router password. On the pop-up box, click Yes. Then click Ok.
Use your new password to access your router's settings such as the Guest Access and Parental Controls. To know more about the different features of the Linksys Smart Wi-Fi, click here.